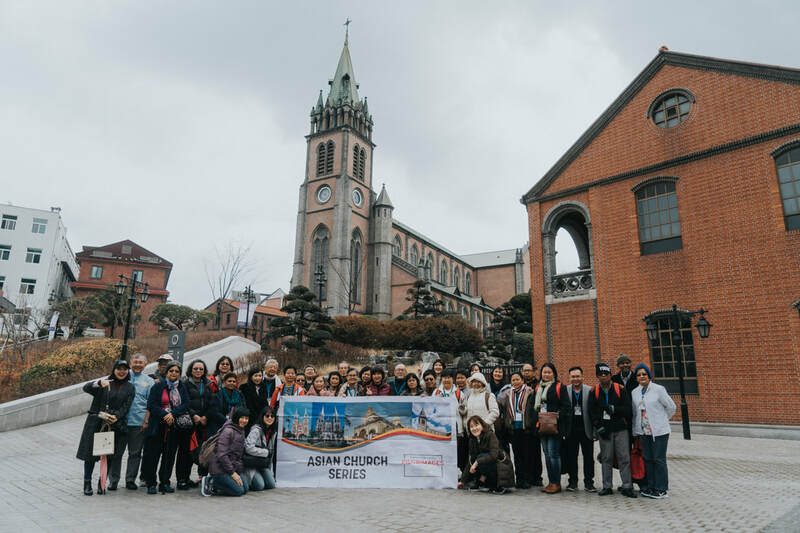 Several years ago, Deacon Sherman Kuek conceptualised a slightly different kind of pilgrimage, realising that many conventional pilgrimages take pilgrims to sacred sites without proper spiritual and theological guidance. As a result, pilgrims are often unable to optimise the benefits they are supposed to received from such trips. 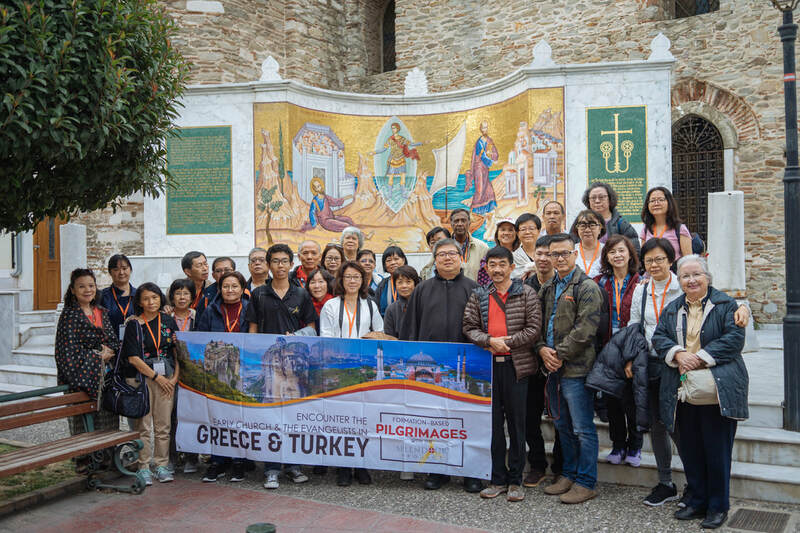 Deacon Sherman therefore conceptualised "formation-based pilgrimages", these being trips that continue to take pilgrims to traditional pilgrimage destinations but are accompanied by daily systematic faith formation throughout the trips. 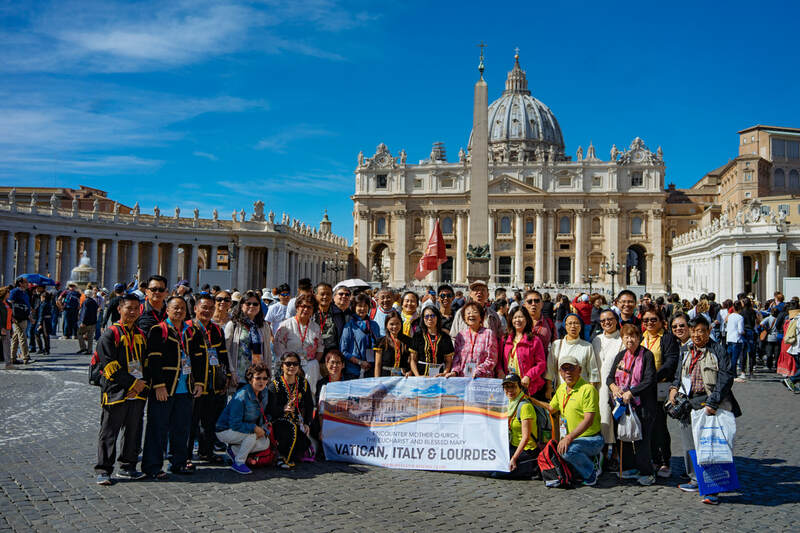 Formation-based pilgrimages ensure that the task of evangelisation is fulfilled through the running of pilgrimages as pilgrims are catechised and the Word of God is preached daily. Such trips powerfully fulfil the evangelisation task of the Church. 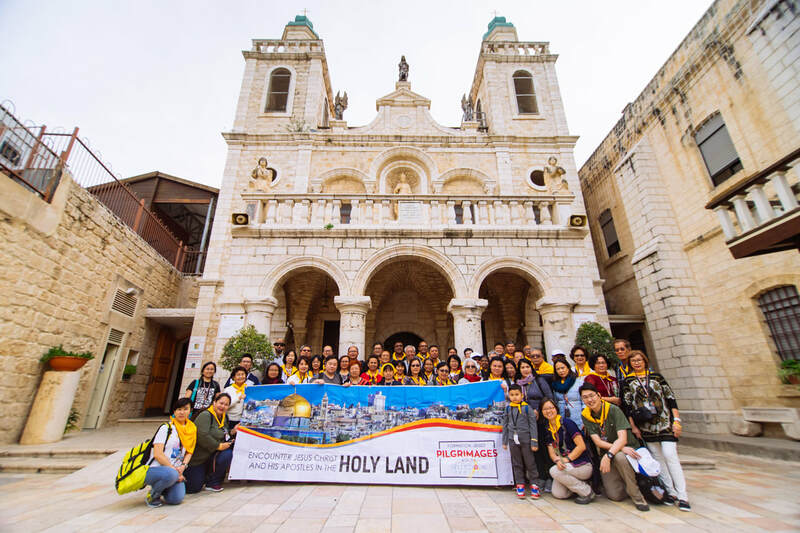 Today, Deacon Sherman accompanies groups of pilgrims on such trips to ensure that faith formation is provided for these pilgrims each day on their trips. These trips are strictly formation-based, so that pilgrims have a better understanding of what they see and experience in the course of the trips. They are also guided on spiritual practices to be undertaken in the places they visit. A priest is usually requested to join in the trips to administer sacraments to the pilgrims daily while Deacon Sherman takes care of their faith formation. ​Scripture from the Four Gospels, New Testament background, apostolic succession and papal primacy, marriage and family, nature of the Church, the mission of the Church, etc. Primacy of the Roman See, apostolic succession, church architecture, devotion to our Lady, veneration of the Saints, veneration of relics, public and private revelation, Eucharistic miracles, etc. Scripture from Acts of the Apostles to Revelation, the missionary journeys of St Paul, church history, ecumenism, etc. On many pilgrimages, too little proper information is given to pilgrims to aid their understanding. Many tour guides, despite the training they claim to have received, thrive on anecdotes. There are also those who deliver facts that are either untrue or inaccurate to unsuspecting pilgrims, or worse still, teachings that contradict the Catholic faith. This is one important reason why the Splendour Project decided to begin offering formation-based pilgrimages, so that an expert formator could accompany our trips to provide pilgrims with more than adequate teaching and guide their understanding of the places that they visit from the historical, Scriptural, and theological perspectives. Even the tour guides we provide on our trips are very carefully selected. Because the Malaysian currency has devalued by at least 15 percent this past year and travel has become even more expensive, many travel organisers are forced to cut corners to keep their trips cheap. For example, some components of a trip may be removed, or quality of transportation, accommodation, and food is being compromised, or less time is spent in the more important places because being there is more expensive. The Splendour Project ensures that this doesn't happen on our trips. On the face of it, it looks like our quoted prices are not cheap. However, we actually ensure that you get what you pay for because we refuse to compromise on the quality of your experience. 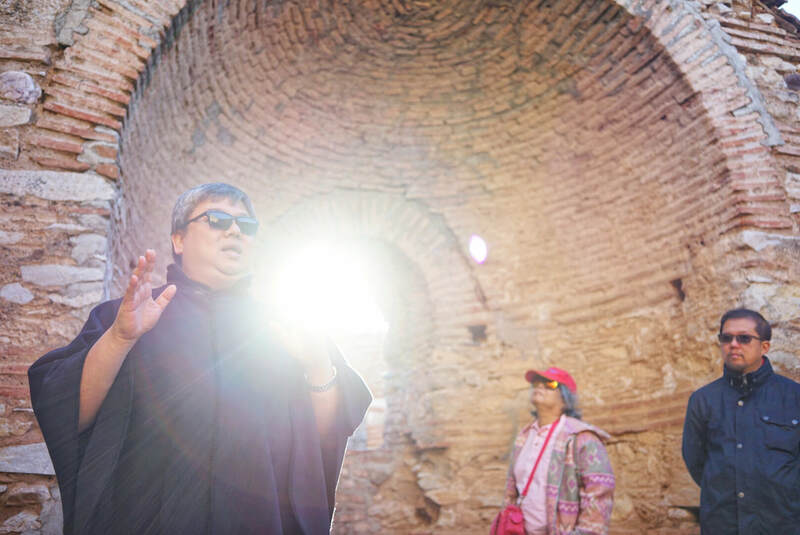 We believe that since most of our pilgrims are visiting a particular place only once in their lifetime, it is not worth compromising on quality just to save a couple of thousand Ringgit. We want to ensure that pilgrims get the best that can possibly be offered, e.g. enough time at shrines without rushing just because days have been cut short, good morale because food is of good quality and accommodation is comfortable, and safety and security are ensured. Basically, we do our best to make sure you get what has been promised. ​Part of cost-cutting measures is to remove the accompanying priests from the cost equation. This means that many pilgrimage groups travel without an accompanying priest to keep their trips cheap. But having a priest around to provide the sacraments on a daily basis is very integral to a pilgrimage. The Splendour Project makes it a point to personally invite priests and bishops who are well-respected and reputed for being serious about the Sacraments. They are also priests who are patient enough to offer spiritual guidance on a personal basis to pilgrims who need to receive some spiritual direction for their lives. Such priests would ensure that pilgrims are able to make good confessions at the Sacrament of Reconciliation and have Masses well-celebrated for them on a daily basis throughout our trips. Prospective pilgrims are constantly worried about whether their safety is secured if they were to embark on a particular trip. They are usually afraid especially of unsafe socio-political situations in the places they will be visiting. It is important that the organisers of the trip have access to firsthand knowledge of what is happening in these destinations. Do keep in mind that the mass media is not trustworthy on such issues because they tend to sensationalise matters -- bad news sells! The safety and security of our pilgrims are very important to the Splendour Project. We have firsthand regular updates from our contacts who live in the very places we are planning to visit, so we are well-aware of the security conditions there. We are therefore able to ensure that your trips are not unnecessarily cancelled or postponed, and also that your safety is not unnecessarily compromised. We also ensure that our pilgrims' insurance policies come with comprehensive coverage. It would be a pity if you paid all that money for a trip and came back without having learned, or having forgotten, everything that you are supposed to know upon having visited those places in your travel itinerary. And yet, most of the time, this happens because travel organisers are experts in making logistic arrangements, not so much in crafting your learning process to ensure optimal learning. To ensure that our pilgrims understand and remember, the Splendour Project conducts faith formation sessions each morning during our trips. Detailed explanations are also given by our Formation Director at the sites of our visits. At the beginning of each trip, pilgrims each receive a detailed handbook containing all the faith formation content and the necessary information about the places the pilgrims are visiting. This would ensure that they are able to refer to the handbook during, and even after, the pilgrimages instead of losing those precious memories and the knowledge that come together with the visits. In addition to that, after each trip, the Splendour Project provides all our pilgrims with a professionally produced hour-long video footage of their trip. The purpose of this footage is, again, to assist pilgrims in reinforcing their memory of their pilgrimage trip. It is not possible for other tour organisers to provide footages of such professional quality because it would cost them too much to do so, but the Splendour Project has the added advantage of our own in-house media crew to provide this for our pilgrims. Did you know that the places that the Church considers holy are all connected to one another in some way? But it does take a considerable amount of intellectual expertise and skill to help pilgrims to see this connection. Otherwise, one can only organise a particular pilgrimage trip in isolation from others and would be unable to help pilgrims to understand how a particular place is intricately linked to other places that they may have visited or will be visiting in time to come. The Splendour Project encourages pilgrims to participate in our Trilogy of Pilgrimages, i.e. 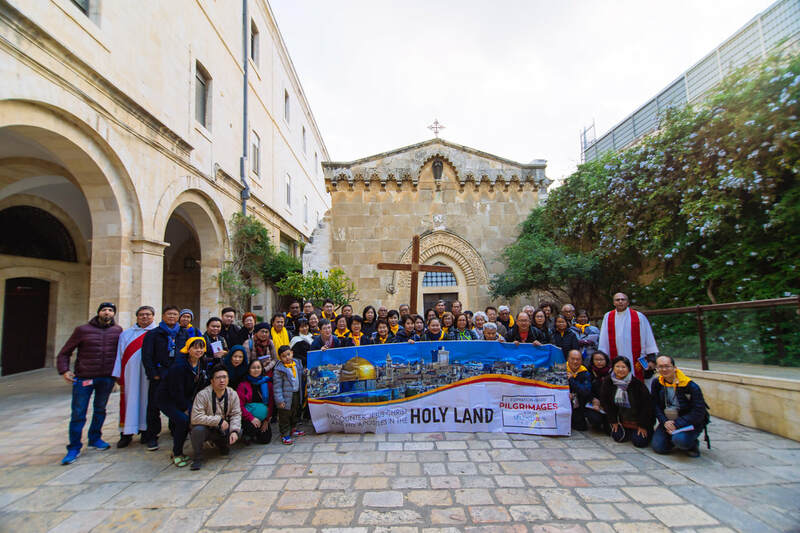 the Holy Land (known as the 1st Holy land), Rome (known as the 2nd Holy Land), and Greece & Turkey (known as the 3rd Holy Land). Pilgrims who travel on our Trilogy of Pilgrimages will be given a thorough knowledge of how all these places we visit actually are intricately related to one another. Because we are guided by detailed theological research, only we have the means to ensure that you receive information as a coherent whole and not in bits and pieces. If you have any further questions, kindly drop us a line below with your query. We'll get back to you as soon as we can. Alternatively, you can also contact our coordinator, Matthew via these channels below. He'll be happy to talk to you.